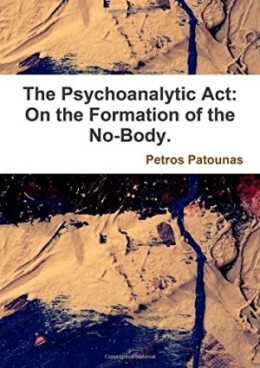 This book collates writings from Petros Patounas in response to Jacques Lacan’s Seminar of the Psychoanalytic Act. Some of the essays arise from presentations given in the seminar series, “Lacan and the Psychoanalytic Act: A Question of Subjective Presumption” during 2013/14 at the University of London Union, UK. Desire in Lacan is desire for absolute difference and yet its conveyance is an element Alien to the subject – that occurs by the letter and by the act; whose components do not represent themselves for one another as with the signifier. This is because the kinesis, let us say in abbreviated form, the flux, of the question, ‘What is Psychoanalysis and What is its Ousia?’ refers not to the ‘Who or the What is a Psychoanalyst?’ but to how the subject can deal with the megacosm of the Real, is neither a surprise nor an enigma – it is a mystery.